What is Park Home Search? 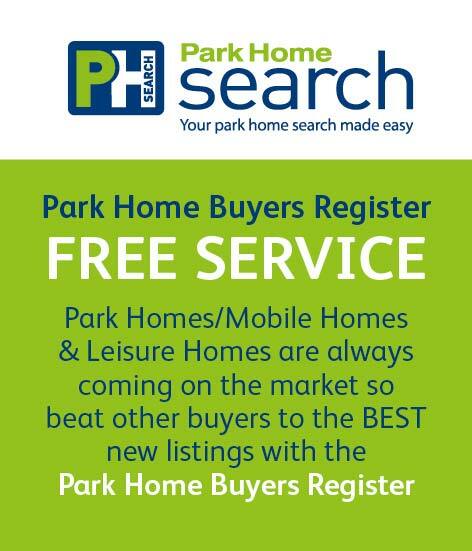 Park Home Search is a free online service, dedicated to connecting buyers and sellers of residential park home and holiday lodges, throughout the UK. Whether you are looking for a retreat in the countryside or a park home by the sea, we will help you find your dream home. 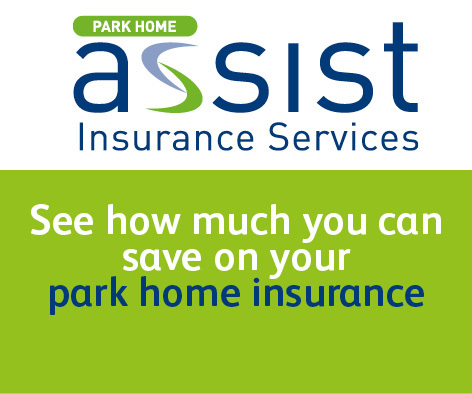 How much does it cost to use Park Home Search? Park Home Search is totally free to use! Can I be notified when new homes are listed? Yes you can! If you are not able to find what you are looking for, you can register your requirements on the Park Home Buyers Register for free today. You will receive details of new homes when they are listed. If I register on Park Home Search, is my information secure? Our Park Home Search System uses 128-bit SSL encryption for peace of mind. What happens if I no longer want to receive updates about homes for sale? Unsubscribe at any time – If you find the home of your dreams, and no longer want to receive information, you can unsubscribe at any time. What other features are there on Park Home Search? Sellers of homes can list their open day and events so you can keep up to date on any events happening near you. Does Park Home Search only have park homes listed? No, you can also browse and search for leisure and holiday lodges too. Do I have to contact Park Home Search if I am interested in a property? No! Each property listed has details of the manufacturer or agent who is selling the home. This means you can contact them direct or send an enquiry through the website and they will get in contact with you. Is there a list of manufacturers and agents on Park Home Search? Yes, there is a full list of all manufacturers and park operators. How to search for your park home? Ask yourself exactly what you are looking for in a property. Do you require a specific number of bedrooms? A garden? Residential or Leisure Park? Consider the budget you are looking to spend, and consider also you may make an offer on a home which is slightly outside your budget. Decide what you would like, what you would prefer, and what you absolutely cannot do without. Don’t forget to take account of amenities such as distance to shops, major town/city centres, schools, and location and area. Even if you are looking for a quiet country sanctuary surrounded by rolling hills and dales, it is crucial that you consider the distance to the nearest hospital and the time it would take to get there. It is important you ‘register’ with Park Home Search as we will then send you details of homes as soon as they are listed which fit your requirements. How important is it to know the state of the property market? This information could prove very useful. For example, if it is a buyers market you could get away with offering less for the property than you first anticipated. No. There is no stamp duty on park homes. Should I get surveys done on the property? If you have any suspicions about a property you are interested in, or if you just want some peace of mind before purchase, then a survey is a good idea. Don’t go alone. Apart from the potential security risks, it is always worthwhile having a level-headed person with you to bounce comments and opinions off. Go during specific times to get an idea of the area. For example, a 3 o’clock weekday viewing will give you an idea of traffic at the end of the school day. Also arrange a viewing for the evening. Walk around the park and speak to other residents. Find the balance between objectivity and subjectivity. Take note of deficiencies but also highlight the positives. Don’t disregard a whole property because of a small problem that could be easily fixed. Contrarily, don’t become fixated on a single property just because you love the garden. If the seller doesn’t mind, take pictures and make notes. Picture yourself living in the house. How does it make you feel? Check the views from all the rooms. Are you satisfied with the storage space? Make sure all the security features are in good working order (i.e. locks on doors and windows). Ask the sellers why they are moving. This could give you an idea of any potential problems with the structure or the surrounding area. Also find out how long they have lived there, the longer they have lived there the happier the residents are on the park. Enquire as to what is included in the sale as most park homes (when new) are sold fully or partly furnished. Examine the boiler carefully. Ask when it was last professionally serviced, and if there are any problems with it. Ask questions about average utility bills, council tax, neighbours, the area, traffic, etc. No question is too small or insignificant so don’t be put off. Does the home still have the manufacturers Structural Warranty available, these would be called either Platinum Seal or Gold Shield. Don’t see too many properties in quick succession. Take time between viewings to think and reflect on the property. 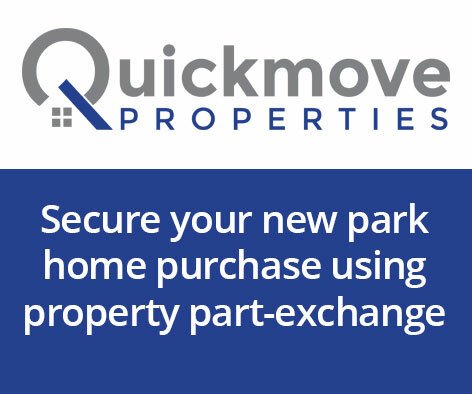 Making an offer for your new park home. You’ve found a park home that meets all your essential criteria and you want to make a formal offer. Before the official formal offer, you will be required to negotiate the price of the property. Your conduct during this process is determined by how confident you are in your own bargaining skills, and how much information you have regarding the position of the seller. Think back to that original figure you agreed with yourself at the very beginning. Decide how much higher than that figure you are willing to go as a maximum. If you have already sold your home or you are in rented accommodation you will have the advantage of not being part of a chain, a factor likely to put you in a strong position in the eyes of a seller looking for a quick sale. Be aware of what is going on in the market. If it is a buyer’s market, with property prices dropping, you may be able to offer less than you first anticipated. Find out if the seller has already found another property. Is he in a hurry to move because they have found a property to purchase? This information may help you put in a lower offer. If the property has been on the market for a while, it may offer a better chance for negotiation. If you are going through an agent, never forget that the agent represents the seller, and as such, will try to sell the property for as much as possible. Find out what kind of interest there is on the property, and if any other offers have been made. What condition is the property in? Pay close attention to the results of any surveys that have been conducted. If you are able to obtain a ‘finance in principle’ from your lender, make sure the seller knows about it. Most lenders are willing to provide a certificate outlining how much you will be able to borrow. Make sure you clearly mark ‘Subject to Contract’ when you make the offer in writing. This legally covers you if you are unable to proceed with the sale for any reason. Be aware that you will need to meet the Park Owner before the sale can proceed, and that you are aware of all the park rules (age restrictions, pets, children etc). As well as the actual property, what can I expect to spend money on? Typically there are no legal costs or stamp duty when buying a park home, but you may want to utilise a solicitor. If the home is a second-hand home you should consider a structural survey that you may require by a specialist park home surveyor and any necessary decorating expenses. How much does it cost to list my homes? Park Home Search is totally FREE to use. Why list homes on Park Home Search? There are no registration fees or commission to pay. Buyers browse the website or sign up to receive information about parks, lodges or plots in their area of interest, and receive alerts when new homes matching their criteria become available. All enquiries made relating to your advertised home, will come directly to you. What features are available on Park home Search? Promote open days and events – Easily add your open days and events from your account menu. Map Search Features – Buyers can zoom into areas on our dynamic map and view in satellite mode. Video Brochures – Upload your videos and brochures to promote your lodges and parks. Add, change and delete the homes you have available all controlled by you. The benefits of Park Home Search? Promote as many new park homes, holiday lodges and available plots you want for FREE. Advertise your open days/weekends and shows for FREE. Receive email leads for clients interested in homes in your parks or area for FREE. You control the information – upload and update all the details using an easy online form. Upload your park brochures, videos and photos to the website for FREE. Fill in your details in the page to the left. Your account will be activated and you’ll receive login details. How easy is it to submit a property? Very easy. Once you are logged in, just complete the fields on the form, add your description and image, then press submit. Why should I use Park Home Search, rather than a traditional local estate agent? There is no reason why you shouldn’t use both, however we don’t charge a commission and unlike local estate agents, we only sell park and leisure homes, we have insurance products, making this an easy process for purchasers, products which are not available to traditional estate agents. Who decides the value of my property? Ultimately, the price is decided by YOU, the seller.